Cutting down a large tree in your yard is often the solution to bothersome branches damaging the home or just to open up sunlight to the yard below. The remaining stump isn’t usually part of the tree-cutting process, relegating it to a permanent fixture in the ground. However, these stumps pose danger to both you, your family and even neighbours. Your responsibility as a property owner requires some action to keep everyone safe. 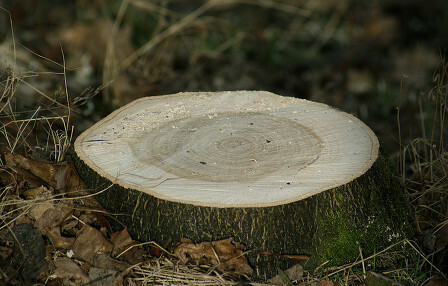 At TW Tree Stumps Removal we understand the threat that tree stumps can create which is why we can use our stump grinding services to remove troublesome stumps and remove the hazard before it becomes a problem. If a stump is cut flush with the ground, it turns into a potential tripping hazard. Friends, family and neighbors could trip on it, causing a potential lawsuit and almost instant insurance premium increases. As a tripping hazard alone, the stump must be marked in some way to warn nearby people until it’s removed. Add a potted plant on top, for example, to alert everyone to the stump’s presence. One of the worst side effects of keeping a tree stump intact is insect infiltration. As exposed wood, insects flock to the area for sustenance or shelter. They may eventually move into the home, creating an infestation that could have been avoided. If your area is prone to termites, in particular, removing the wood is paramount to retaining the home’s structural integrity. Mowing the lawn twice a week during the growing season is common for many areas, but obstacles hidden in the grass create dangerous conditions. When a mower blade or weed-eater tool strikes the stump, equipment damage often results. Broken parts can even become airborne, creating an incredibly dangerous situation for you or onlookers. Remove the stump for the safety of anyone landscaping the yard, especially if you hire garden designers. Any injury to these workers could result in a lawsuit for you. Stump removal companies use several tactics to finally release the wood from the ground. Chemicals, fire and wood chippers eradicate the stump relatively fast. Other companies try heavy machinery, such as small bulldozers, to physically push and lift the stump from the ground. Chains and cables are also possible equipment choices, but should be used by qualified professionals for overall safety. Before selecting a quote from any old stump removal company you should look at their removal strategy. It needs to match the stump’s size and root system to make a clean break from the ground without any future problems arising.